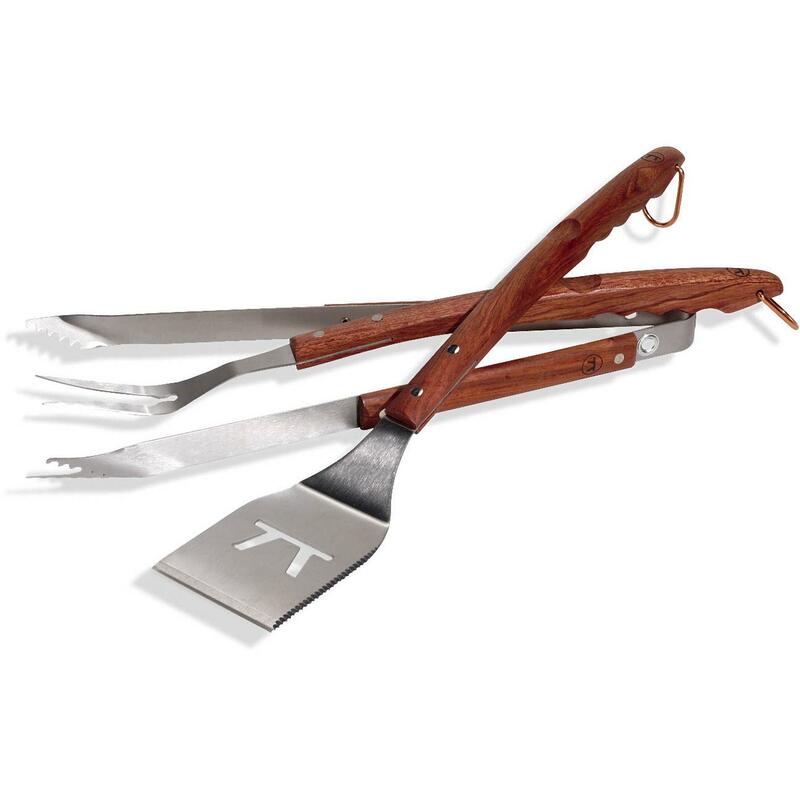 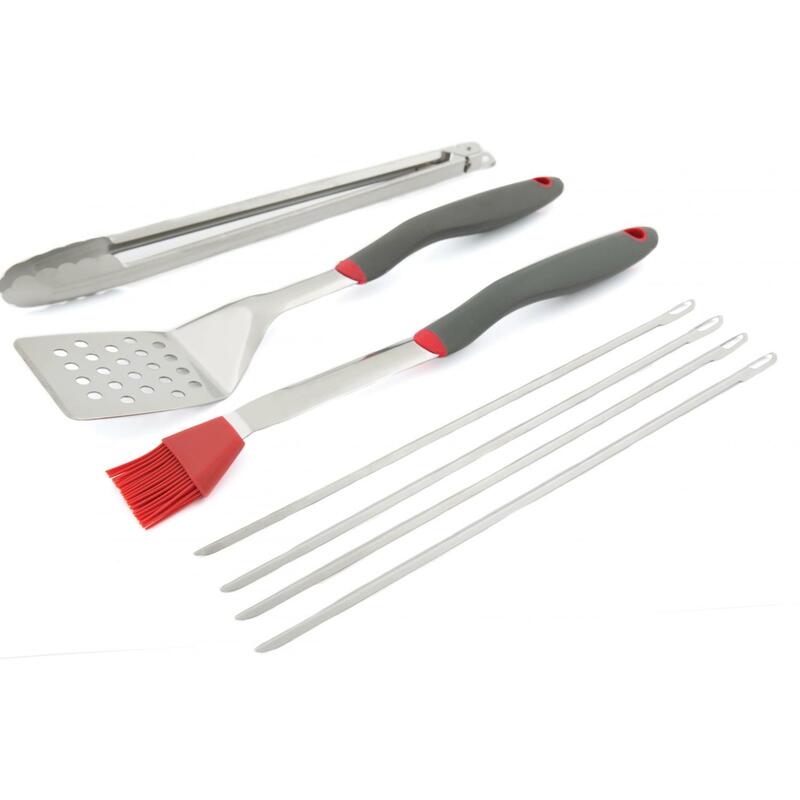 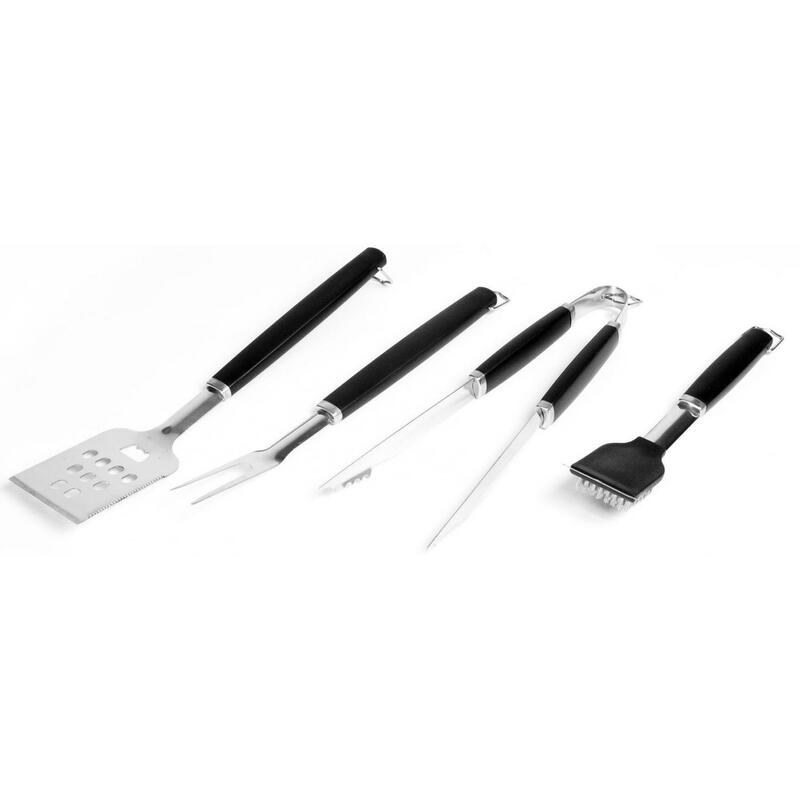 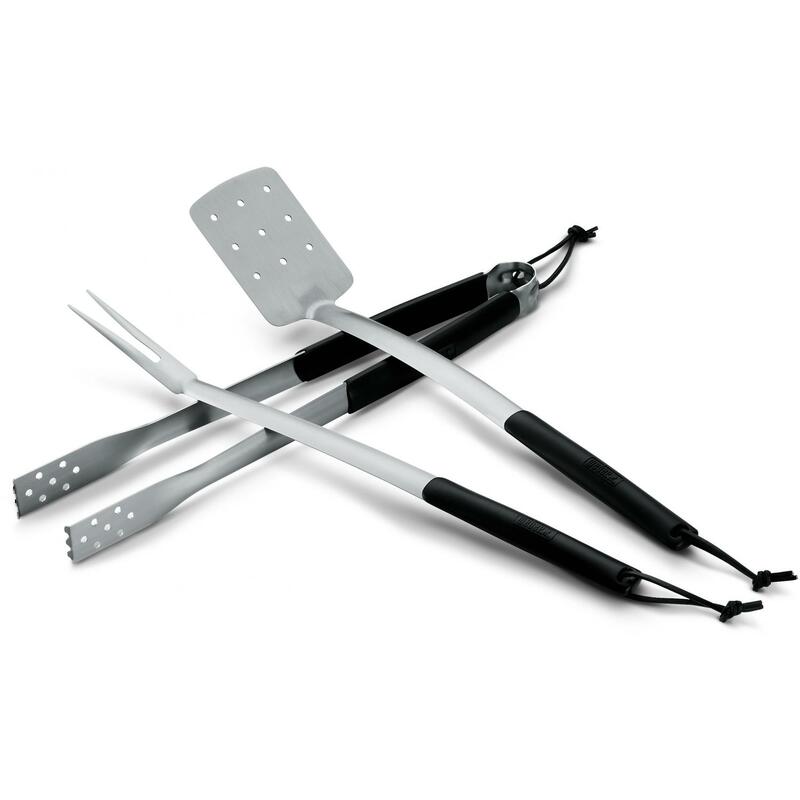 Product Description: Golf Club 3-Piece BBQ Tool Set. 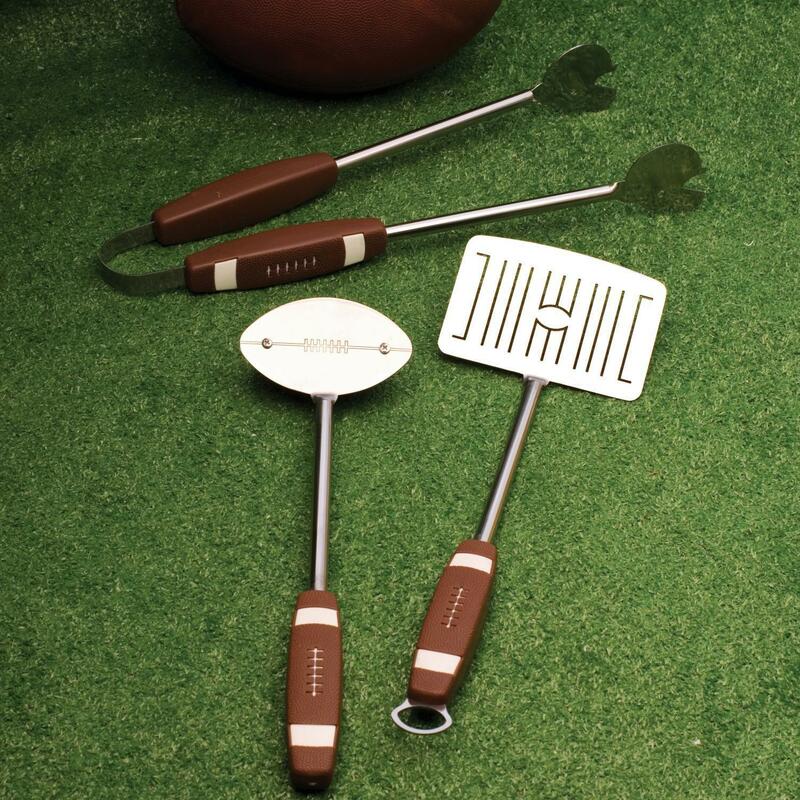 Put a little swing into your backyard grilling with this Golf BBQ Tool Set. 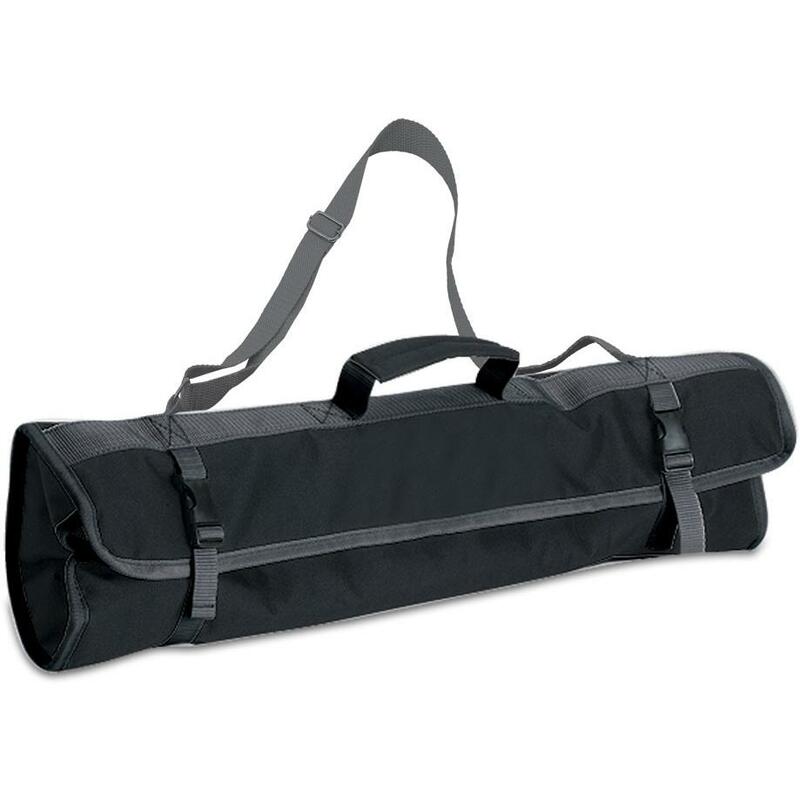 Each tool has a soft, insulated grip golf club handle and each head looks like a golf accessory! 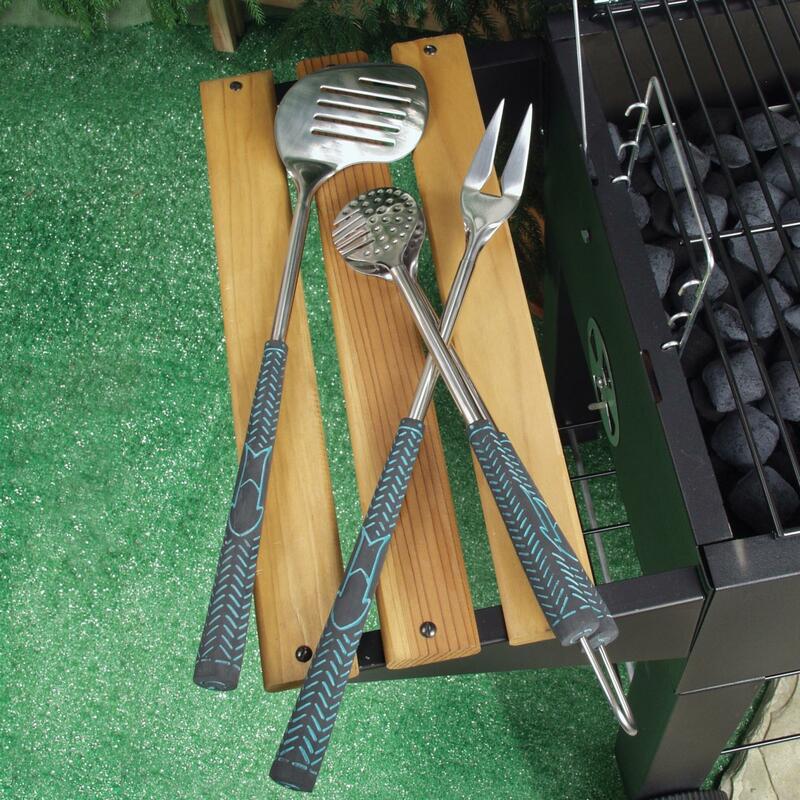 From the slotted spatula (club) to the turning fork (divot fixer), to the tongs (ball) this durable stainless steel BBQ tool set is a hole-in-one. 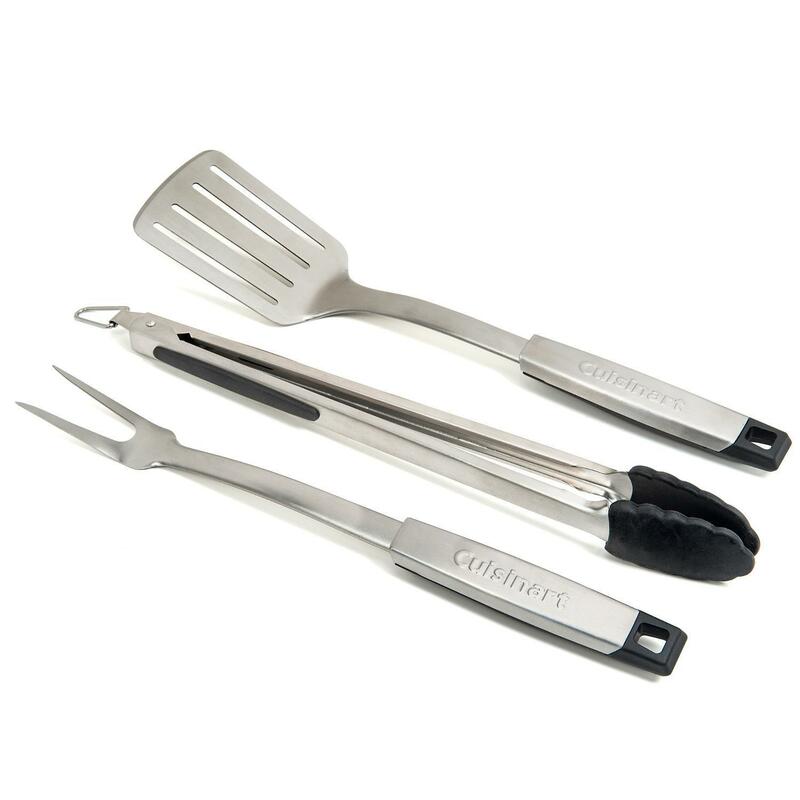 Tools range from 18 to 21 1/4-inches.